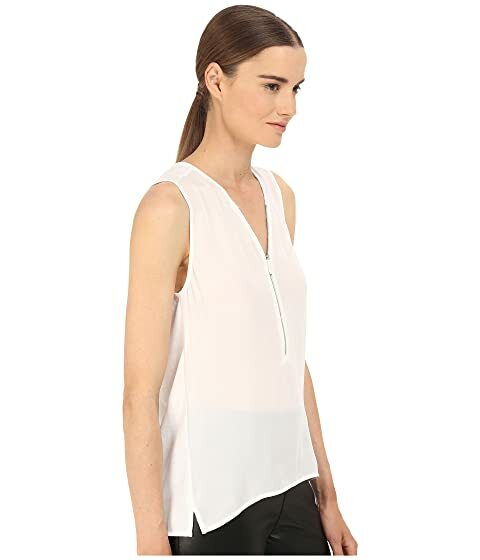 You may mean business, but do it in elegant style wearing the The Kooples™ Mixed Materials Woven Jersey Tank Top. 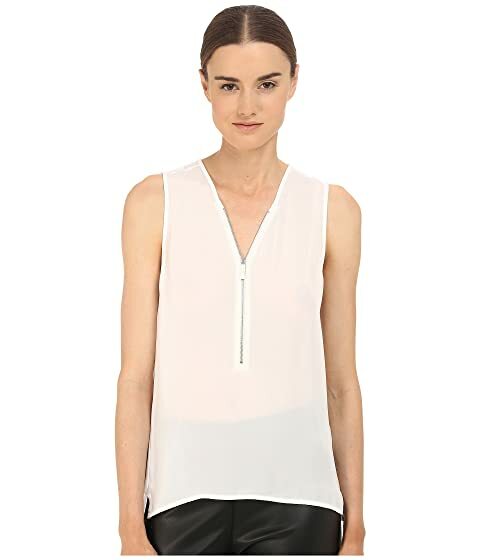 Open collar with zip placket. 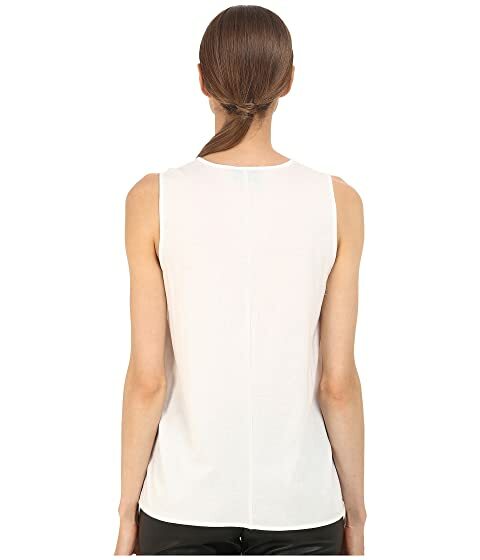 Back: 70% tencel, 30% cotton.